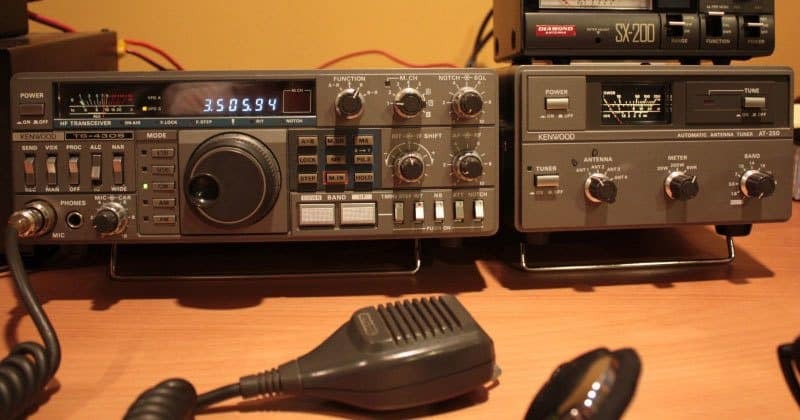 Ham radio contests are fun and exciting ways that amateur radio operators can test their skills and improve their craft of radio communication. Licensed operators from around the world vie for top honors by collecting the most QSOs (contacts) using specific radio specialties and designated frequency bands. Who Are Ham Radio Operators? Ham radio operators are a specialized group of licensed amateur radio enthusiasts. Don’t think for a moment that the classification of an “amateur” is that of an unskilled person. Ham radio operators are often experts in their field. Many ham radio operators build their radios, experiment with electronics or maximize the use of radio frequencies. Amateur radio operators are required to use their radios and radio frequencies for purely non-commercial purposes. Many of them use their radios for emergency communications and rescue operations. Ham radio operators were the primary source of communications during the hurricane disasters at Dominica and Puerto Rico when phone and electrical grids went down. Ham radio operators specialize in many subfields of amateur radio. They use everything from vintage vacuum tubes to digital programming. These electronics may be either home-built or commercially purchased radios. Check out our ham radio basics article for some more information. How Are Ham Radios Used? Modes of communication are as numerous as the radio operator’s equipment. They include modes such as voice, RTTY (data) and CW (Morse code). Some ham radio operators specialize in DX, which is international communication. Ham radio operators communicate with people across the country, with astronauts at the International Space Station or even on sailing vessels a thousand miles from shore. Ham radio equipment is matched to the bands or a set of radio frequencies. They must stay within their licensed frequencies and the power used on those frequencies. What Kinds Of Contests Are There? Contestants use digital modes, which include Baudot RTTY, ASCII, AMTOR, PSK31, PSK63 and Packet on 80, 40, 20, 15 and 10-meter bands. Radio operators log each unique contact that they work. Ham radio operators are only allowed to use one band at a time. Power levels include high power, which is greater than 150 watts and low power, which is less than 150 watts. There are no QRP limits in this contest. QRP is defined as power under five watts for CW or 10 watts PEP for SSB. The winner is the ham radio operator with the most QSO points. There are two sets of contestants in this contest: W/VE amateurs and DX amateurs. W/VE stations (continental United States) work as many DX stations (any non-W/VE station) in as many DXCC places (countries/areas listed in the DXCC List Manual by ARRL) as possible. DX stations work as many W/VE stations in as many as the 48 continental states and Canadian provinces as possible. Ham radio stations will transmit on the 160, 80, 40, 20, 15 and 10-meter bands. The winner is based on the number of station contacts in the most locations. Contestants will contact as many stations as possible around the world using the 160, 80, 40, 20, 15 and 10-meter bands. Sub categories include phone, CW and mixed modes. Radio operators may use high, low (above and below 150 watts) and QRP power levels. The winner is the ham radio operator with the most QSO points. Contestants will work as many 222 MHz through 241 GHz stations as possible using any mode. Using the grid locator, only one station on the grid locator counts per band used. The ham radio operator with the most QSO points will be the winner. Contestants will work as many stations as possible using earth-moon-earth path (moon bounce). Only authorized ham frequencies above 50 MHz (6 meters) are allowed. All modes (CW, phone, digital or combinations) are allowed. The winner will be the amateur radio operator with the most QSO points. All contestants participating in ham radio contests must hold an appropriate amateur radio license while transmitting on their radio equipment. Many events span the globe and use frequencies that are tightly regulated. 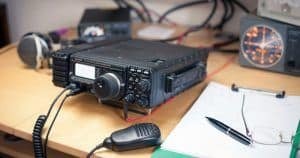 United States amateur radio operators fall into three classes of licenses with each giving the ham radio operator specific privileges. This is the first, entry-level license that most ham radio operators get started with. Technicians have the following privileges: all VHF/UHF amateur band frequencies and limited use in certain HF frequencies. Ham radio operators must pass a 35-question written exam (Element 2) to qualify for the FCC Technician License. This license opens the door for global communications. General Class operators have the following privileges: all technician level privileges plus most HF privileges which include the 10 to 160-meter bands. Ham radio operators must pass the technician license test as well as a 35-question written exam (Element 3) to qualify for the FCC General License. Licensed technicians do not retake the technician exam. Morse code is no longer a requirement for an amateur radio license. This license allows ham radio operators to have all amateur band privileges. To hold this license, the amateur radio operator must pass a 50-question written exam (Element 4) as well as the Technician and General License exams. Radio operators with a current General License do not have to retake the previous exams. Most search and rescue groups are involved with ham radios, so try your local emergency organizations. Being involved in ham radio contests will not only hone radio skills and experiment with new technology, but these experiences will build lifelong relationships with other people around the globe. You never know when your radio expertise will save another person’s life.